A dozen women gathered in a community room at YWCA Toronto Winona’s Place for a group crafting session. Despite the upbeat soundtrack and abundance of colourful materials strewn on the table, the mood was sombre and reflective. The warm scent of sage filled the room. It was Sisters in Spirit day on October 4th, a national day of remembrance to commemorate the hundreds of Aboriginal women who have been stolen from their communities across Turtle Island (North America). In Canada alone, nearly 600 Aboriginal women have gone missing or been murdered. In many cases the justice system has neither investigated nor apprehended those responsible. While the national percentage of charges laid in homicide cases is 84% [pdf], only 53% of murdered Aboriginal women’s cases have resulted in homicide charges. Canadian institutions have failed to address this violence because racism and misogyny continue to dehumanize Aboriginal women and girls, leading many decision-makers to deem their lives unimportant. In honour of these women, the Native Women’s Association of Canada (NWAC) partnered with artist Gloria Laroque to launch the Faceless Doll project. The Faceless Doll project humanizes missing and murdered Aboriginal women through visual and tactile representation, while offering a chance to build the crafts as a group with solidarity of political, personal and creative purpose. 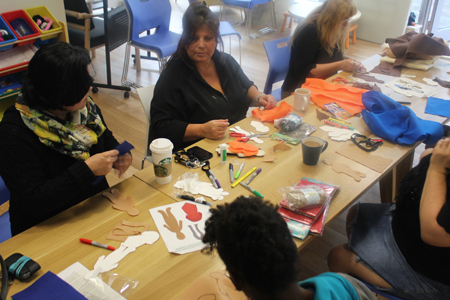 Jennifer Upshaw, a development worker at the YWCA Toronto Elm Centre, organized a Faceless Dolls crafting session on October 4th at Winona’s Place, an Elm Centre community for Aboriginal women and their families. Using Faceless Doll templates provided by NWAC [pdf], Jennifer and a dozen Winona’s Place residents spent the afternoon cutting and gluing pieces of felt to create beautiful dolls. Women shared questions and ideas around the table – “How should I cut this piece?” “Try this colour for her hair!” Throughout the afternoon, participants burned sage, the sacred Aboriginal medicine of the west and a women’s medicine believed to purify negative energy and confer strength, wisdom and clarity. One participant engaged in the traditional practice of smudging, placing her hands in the smoke and pressing it to her body to promote healing of the mind, heart and body. 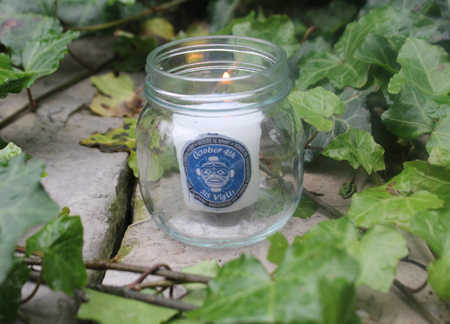 As the group put finishing touches on their dolls, Jennifer distributed candles nestled in jars with the Sisters in Spirit logo. Some members of the group prepared to attend the evening Sisters in Spirit vigil at Allan Gardens park hosted by the Native Women’s Resource Centre (NWRC). The NWRC vigil is recognized in the City of Toronto’s official declaration of October 4th as Sisters in Spirit Day. Although October 4th has come and gone, we continue to mourn women who have been stolen from their communities. We continue to demand justice for these women and their loved ones, adding our voices to the chorus calling for a national inquiry into our justice system’s failure both to bring closure to their cases, and to pay attention to why so many Aboriginal women have gone missing and been murdered. We encourage you to add your voice to this chorus by signing NWAC’s petition. Our Faceless Dolls will soon be put on display at the YWCA Toronto Elm Centre. The display will serve as a constant reminder that these women all leave legacies – each statistic tells a story. You should use this petition tool instead as it’s much more user friendly then using a PDF file that has to be downloaded, signed and then physically sent to Ottawa. This petition can be spread via Facebook and other social media as well. Your current tool is not effective. This is an important issue and needs to have the ability to go viral to get the media attention it deserves. Thank you for your feedback, Paula – Change.org petitions are great! The Native Women’s Association of Canada chose a physical petition because policymakers often perceive paper petitions as more impactful than electronic petitions, specifically due to the effort involved in adding your signature to one. However, we’re sure if you wanted to start a Change.org petition to supplement their physical one, they’d be happy to have that kind of support. only when Aboriginal women in all communities across our country are recognized as valuable contributors not only to Aboriginal life , but to all of us across out great mosaic, will we begin to heal the many wounds that have been inflicted. We haggle over land claims and mineral rights when one of the greatest resources of the Aboriginal people, their women and girls, remain unprotected.